Advanced Vascular founder Dr Maged Aziz is an experienced Australian and New Zealand trained Vascular and Endovascular Surgeon practising in Brisbane, Ipswich and Toowoomba. Dr Aziz is a varicose veins specialist helping patients who have diseases that affect the arteries and veins throughout the body. He is also a qualified General Surgeon with many years of experience. A Fellow of the Royal Australasian College of Surgeons (FRACS), Dr Aziz has a warm, professional approach and is dedicated to providing each and every one of his patients with an exceptional level of care. Dr Aziz graduated from Alexandria University, Egypt in 1993. He completed his internship and travelled to New Zealand where he started his surgical career in General Surgery, gaining his FRACS in 2006. He then completed fellowship training in Vascular Surgery in 2009. During his training in New Zealand and Australia, he gained significant experience in all aspects of open Vascular and Endovascular Surgery. In 2010, Dr Aziz started his career as a Vascular Surgeon working in major tertiary hospitals in Brisbane, both public and private. In 2014 Dr Aziz moved to full time private practice in Brisbane, Ipswich and Toowoomba. His exposure to major surgical cases in emergency and elective operations has provided him with substantial experience of managing all aspects of Vascular Surgery. His joint specialism in General Surgery and Vascular Surgery means Dr Aziz is well prepared to manage difficult and unusual situations providing patients with safe and well-planned care. 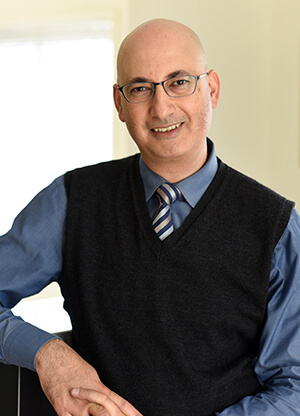 Dr Aziz prides himself on offering accurate and honest assessments to patients, which means providing them with the best treatment plan available for their specific needs. Dr Aziz will never recommend a varicose vein treatment if he doesn’t believe you’re a viable candidate. Get to know more about how Dr Aziz can help you overcome unwanted leg veins today by contacting our practice for your first consultation. We look forward to helping you!